The United Nations and its partner humanitarian aid groups are appealing for access to people affected by fighting in the eastern region of the Democratic Republic of the Congo. Some aid work was put on hold in various areas in North and South Kivu provinces for the past few days due to continuous fighting between the so-called M23 and government forces, aid groups said. The office of the U.N. High Commissioner for Refugees, for instance, has been unable to gain access to most of the 31 internally displaced people camps it oversees. ActionAid, for its part, stressed the importance of giving aid groups access in order to prevent the already “appalling humanitarian crisis” in the region from deteriorating further. “The situation is worsening as the efforts of aid agencies are becoming severely disrupted. 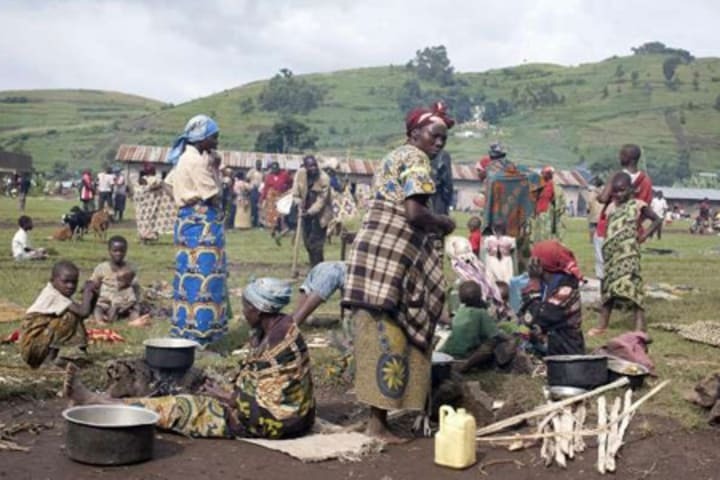 We are unable to deliver help and reach out to vulnerable people trapped by the conflict,” said Adeline Ntango, ActionAid’s country director for Congo. Despite security challenges, some relief operations have reached eastern Congo. The International Committee of the Red Cross, for one, said that it was able to take advantage of a lull in the fighting in the city of Goma to assess needs and deliver emergency aid. The group is sending medics, including its chief surgeon, and clean water to the city and some nearby temporary shelters. The Red Cross also expressed concern over the outbreak of violence in the towns of Sake, Minova, Kisangani, Bunia and Bukavu. “The front line is shifting and new communities are now directly affected by the conflict in North and South Kivu,” said Frédéric Boyer, head of the Red Cross sub-delegation in the city. The statement was welcomed by U.N. Secretary-General Ban Ki-moon, who also urged rebels to “lay down their arms” and withdraw from Goma, which they took over Nov. 20.